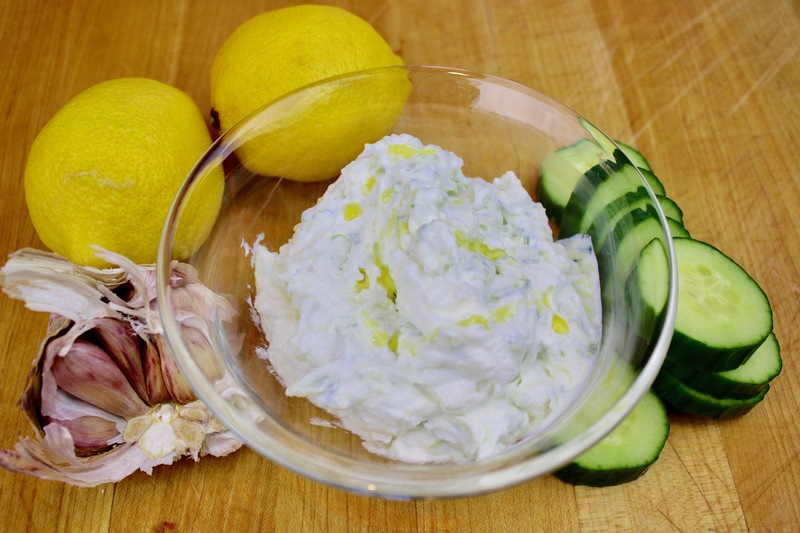 A probiotic twist on a healthy, rich and thick, lemony-garlicky classic dip! Tzatziki is a is a traditional Greek, yogurt-based spread also enjoyed in various other versions in Cyprus, Turkey, the Balkans and the Middle East. 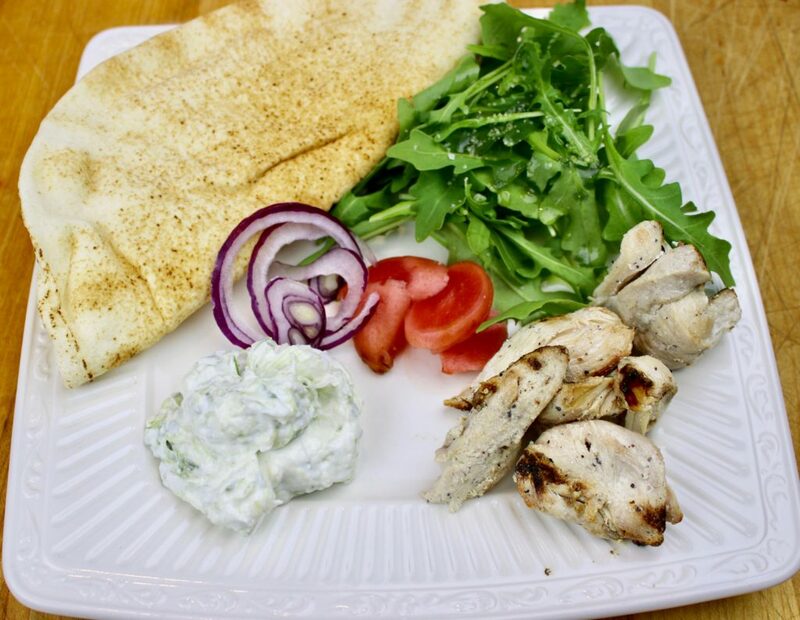 High in protein, calcium and flavour, tzatziki is a staple in our fridge. It is so easy to make at home and much tastier than store-bought. 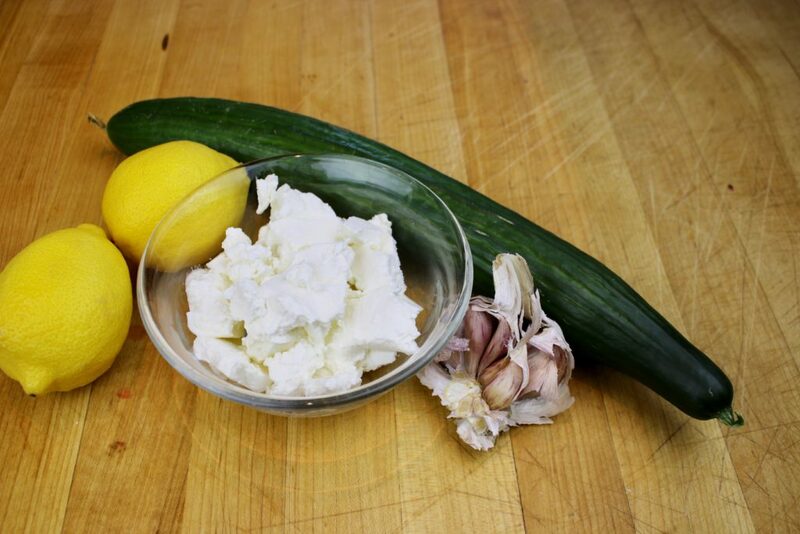 This week, I decided to tweak the recipe a little to create milk kefir tzatziki. Instead of using greek yogurt, I decided to use a batch of milk kefir cheese that was ready to be flavoured. The result? AMAZING! Super thick, rich and tangy, lemon-garlicky goodness, paired with the cooling effect of cucumber. 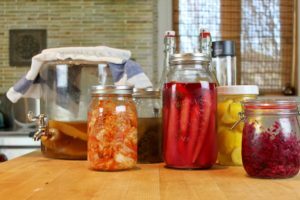 Let’s not forget the bonus of the healthy probiotics homemade milk kefir has to offer. To further amp up the flavour and probiotics, I also added slivered rind from my lacto-fermented lemons– super delish! Make some today and pair it with grilled meat or fish dishes, as a spread on sandwiches or as a dip. It will keep for two weeks in the fridge, but it so so yummy, I doubt it will make it past 2 days! Finely grate cucumber (skin and flesh). 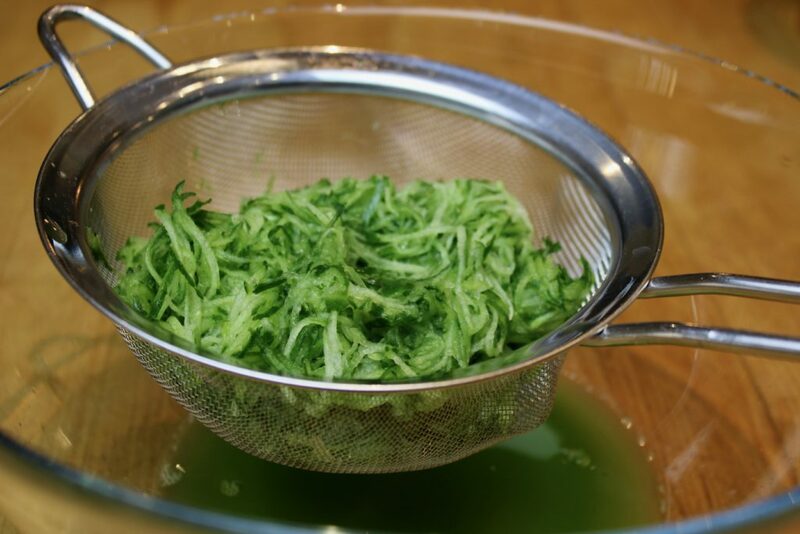 Squeeze through sieve to extract juice (don’t toss the juice, it’s delicious!) Pat grated cucumber dry with a paper towel. 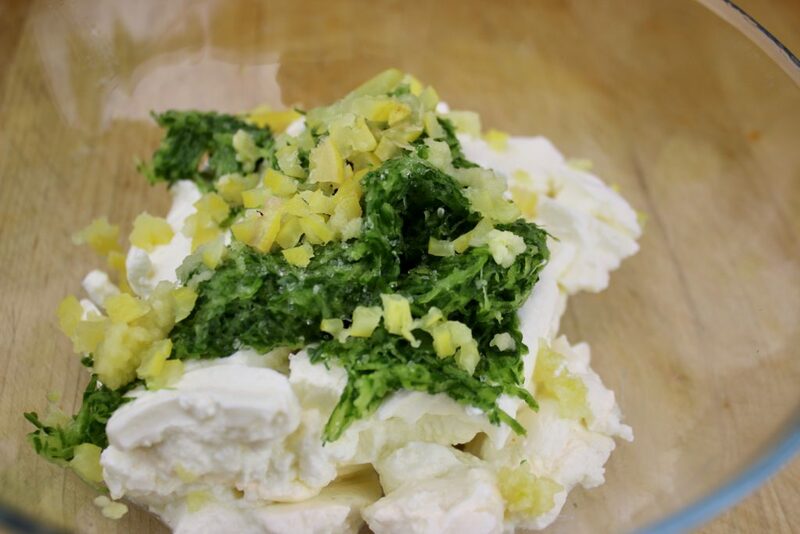 Stir garlic, cucumber, and lemon rind into cheese. Slowly add lemon juice until consistency is smooth, but not runny. Salt and pepper to taste. Drizzle with olive oil before serving. Milk kefir tzatziki will keep, refrigerated, for 2 weeks. Hi Joanna- Glad you like the recipe, it’s a favourite in my house! 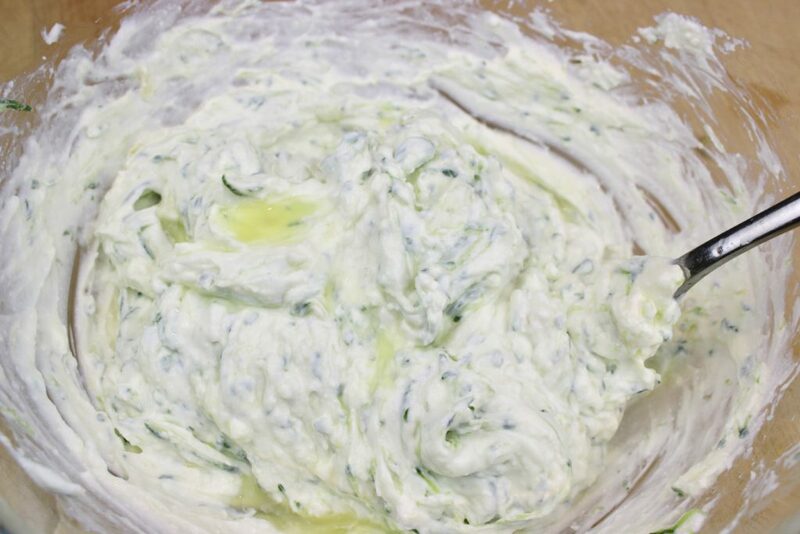 I have always squeezed out the excess liquid from the cucumbers when I make tzatziki because I like to drink the juice, and I just found it easier. Salting them is also an option, I guess use which method you prefer to reduce the liquid to ensure a nice, thick tzatziki!